Most people have heard of applying hot or cold packs to manage pain during or after an injury. 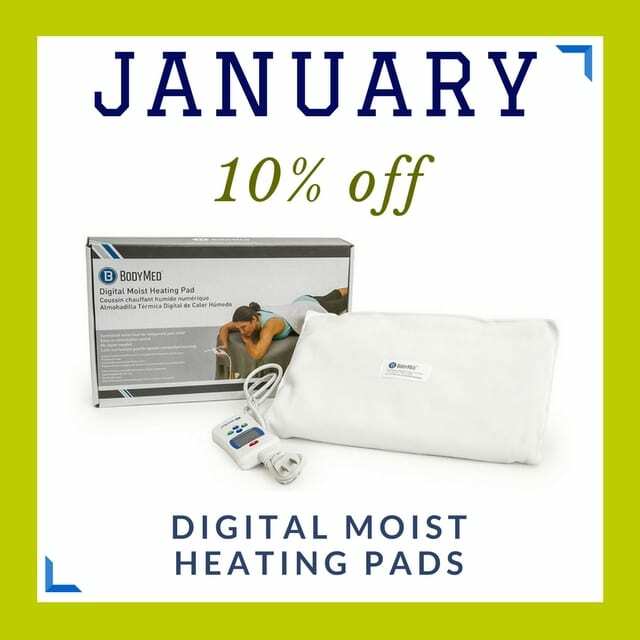 This month our digital moist heating pads are on sale! So, let’s chat about moist heat. Moist heat comes in many forms, including steam towels, hot baths, and moist heating packs. Moisture along with heat helps increase tissue elasticity, prevent skin irritation, and penetrates more deeply into skin and muscle tissue. When using moist heat therapy alternate twenty minutes of heat with a twenty minute break. You can repeat this multiple times a day to help relieve stiffness and tension in affected areas. If heat therapy at home isn’t giving you relief you need, it’s time to see one of our physiotherapists, HERE.